Following his heart with music to make people happy, Ray Fogg, Jr. returns at 7:30 p.m. on May 16 to Reel Bar in Put-in-Bay, South Bass Island to kick off the summer season for weekend concerts. Fogg, originally of Brecksville, is known for his island vibe and comedy routine at Reel Bar and Roundhouse, in Put-in-Bay, as well as at Sloppy Joe’s Bar, in Key West, Fla., during the off season. Fogg, a 1982 graduate of Brecksville-Broadview Heights High School, was his class commencement speaker and the drum major of the BBHHS Marching Band as well as playing trumpet. Many fellow classmates may not know he was teaching himself guitar in his spare time and playing bar gigs in seventh grade. “My first professional paying gig was July 4, 1976 – Bicentennial Day – at a city fair,” said Fogg. After playing bars, restaurants, and weddings through high school, Fogg toured the college circuit nationwide from when he was 18 to 28 years old. Although music performance fit his fun personality, Fogg said he “became rather sick of touring.” At that time he joined the family real estate business (yes, that’s why the name is familiar – Ray Fogg Corporate Properties, LLC), for the opportunity to work with his father, all the while still playing the local bars until Put-in-Bay became a serious consideration. His first real break was to fill in for a regular performer John Soloman, and Fogg’s gigs and style developed from there. Fogg liked the idea of living on the island and having the tourists come to see his show instead of him touring to see them. “Music comedy has now become what I am most known for,” said Fogg, but don’t expect it to be a very family-friendly style, as it is more adult humor in his original songs and parodies. 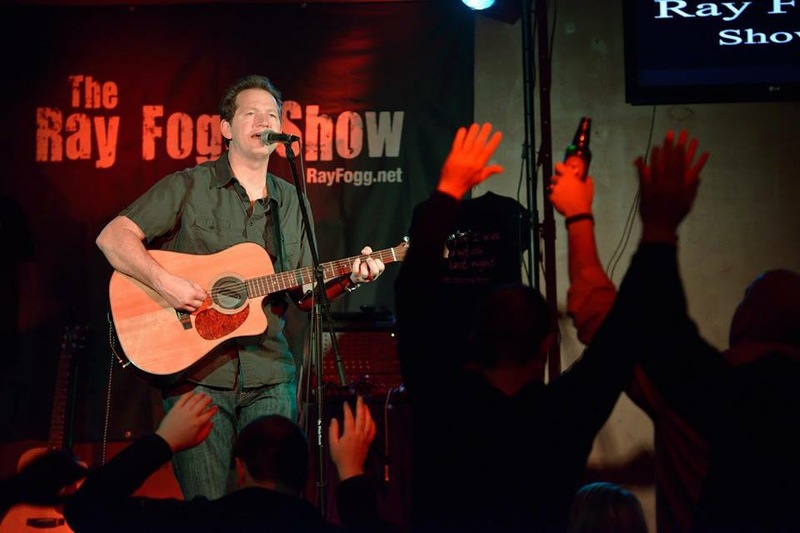 The Ray Fogg Show will feature a new song, “Loose”, when he opens on Saturday. Fogg’s next CD will likely be recorded later this season at Reel Bar. He has recorded six CDs that are available at www.rayfogg.net. Discussing his life as a musician, Fogg has some advice to other aspiring artists to stay happy and grounded in their craft. “Few people can ‘make it big,'” said Fogg. “And with how the economics of the music and recording industry have changed, I’m not even sure what ‘make it big’ means anymore. The most important thing is to find what you love to do, figure out where an audience is who will appreciate that and get in front of that audience.